This has been one of my favorite quilts ever ever. The collection was chocolat by 3 sisters. The quilt pattern was named, Truffles. 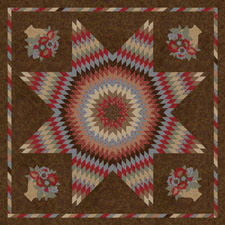 Debbi Duckworth made the quilt and no picture can do it justice. This line has yummy linen/cotton solids in it. I wish blogs would let you touch the fabric but until then you will just have to believe me.So I set forth to use the denim linen as my background. I love how it turned out! Did I tell you that I don’t do the “A” word? Applique. So here is my version of the quilt above. I have included a link to the chocolat pattern if you want to give this project a try. Northcote Range by Cabbages and Roses will be in stores September. Very pretty! I have always wanted to figure out how to make Lone Stars with a jelly roll. Off to check out this pattern! OH! Gorgeous!!! 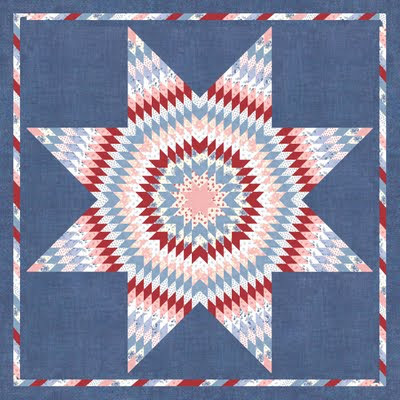 I have loved the 'Lone Star' since I looked at my very first quilt book 3 years ago. I haven't worked up the courage to try one yet, but some day…definitely someday. 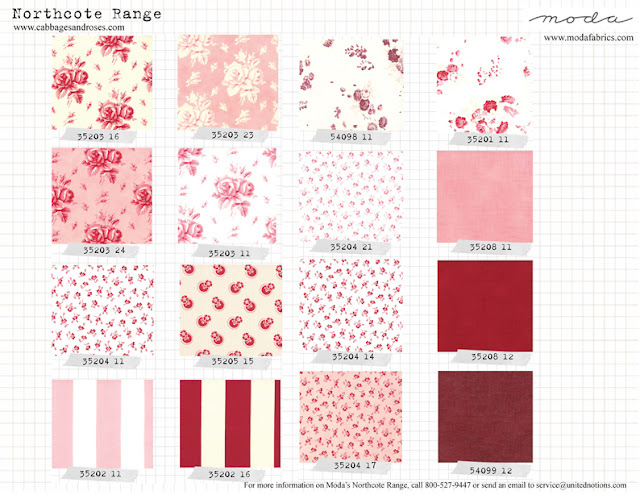 I love the Northcott fabrics you used Lissa. Exquisite. I love everything about it. Yes…a perfect combination! 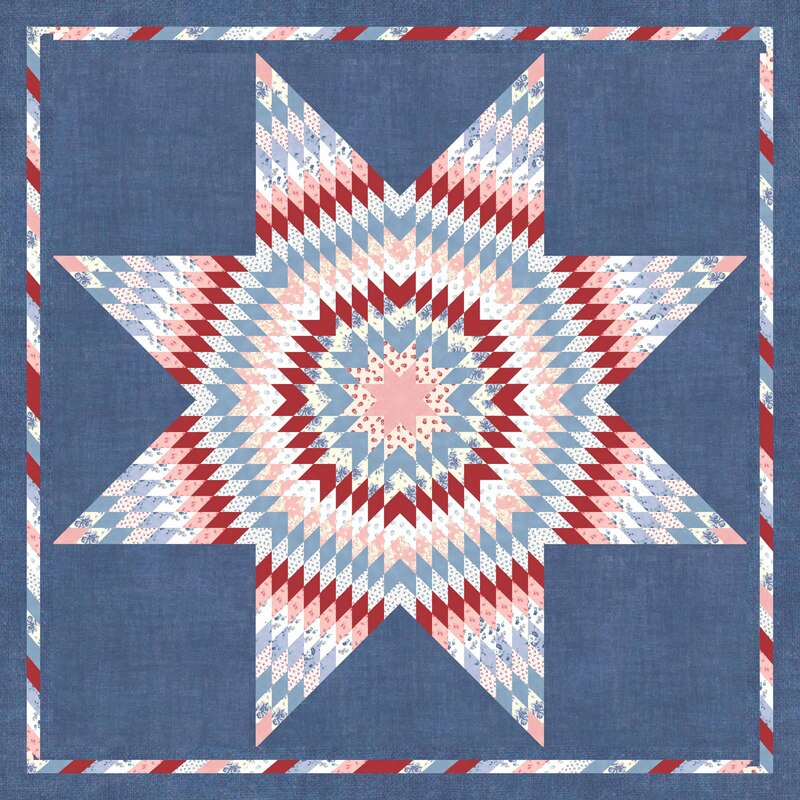 I am going to have to make a Lone Star quilt one of these days…I was born in Houston, you know! Love this fabric line! I have a question for you about writing up a tutorial on my blog for this free Moda pattern http://www.unitednotions.com/my-pattern_cabbages-roses.pdf . I just posted about making one today and there seems to be quite a bit of interest from my readers in me writing up a "how to" post for this pattern. Is it ok for me to do so? 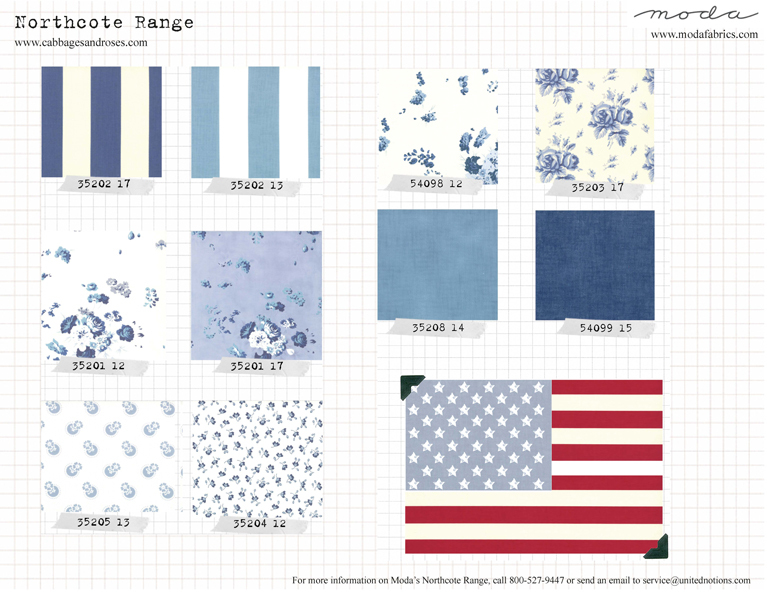 I'll be using Moda fabrics, of course. 🙂 Let me know. Thanks!